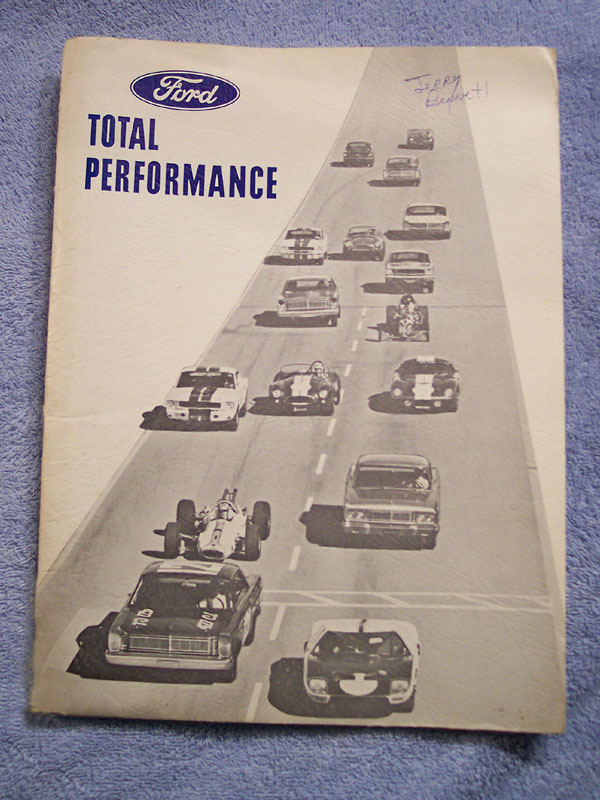 Ford High Performance Booklet. Produced in 1965, it covers many different Ford powered high performance and race car applications. The cover displays both a street and R-Model 1965 GT350.